-Any AOS or SoS patches that you were previously using for either True Storms, Obsidian, or both can be safely replaced by the patches provided here. 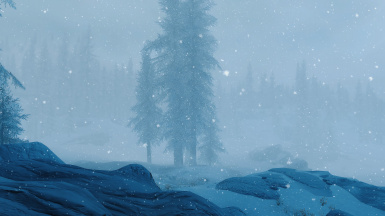 This patch was created to completely merge both mods into one experience, so you can basically think of it as its own weather mod in need of its own patches. -You only need to have ONE of the available four versions loaded, meaning that you should not have both the main version and its respective Water Fix version loaded at the same time, just choose one or the other. 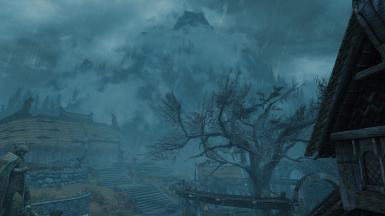 The only real difference between these two versions is the fog levels, so if you like having lots of fog in all of your weathers, just stick to the main version. 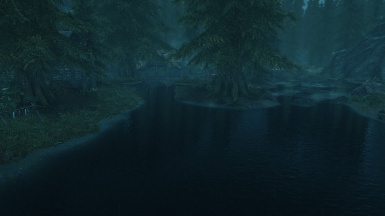 If you would like to tone down the fog levels in your weathers and you are bothered by the blocky water edges that can appear during foggy weathers, then I would definitely recommend using the Water Fix version. -This patch can also replace the True Storms + Obsidian patch provided by the authors of Obsidian, as it does exactly the same thing plus a bit more in the visual department. *ALSO* Just a friendly reminder that there is a bug section. It is 1,000 times easier for authors to fix and keep track of bugs and glitches when you post them in the bug report section, rather than in the comments, so if you find any strange visual glitches or places where the mod isn't working, please post it there instead of in the comments :) It would be greatly appreciated. If you do, please remember to mention what setup you have, which version you are using, and if you are using an ENB. Thank you! 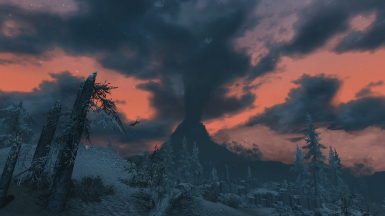 True Storms SSE - V1.01 **Most likely will not update again anytime soon. **I do plan on keeping my patches up to date with the latest versions, but as I have quite a few to manage at this point, I would greatly appreciate any friendly reminders if it seems as though I missed an update :) Thank you! For the sake of organization and my sanity I've moved all of the Wet and Cold compatibility options from all of my different patches onto their own page. They are still the exact same plugins, I just needed to make it easier to keep track of them for maintenance purposes, and I also didn't want to make you guys redownload such a small plugin every time I made an update to this patch. All you will need to do is redownload the plugin from the new page and use it as a standalone :) Sorry for the confusion! What can I do? Loot always wants to load True Storm before Obsidian. I found no way to do what you want in LOOT. It ends on this cyclic and cannot force the order. 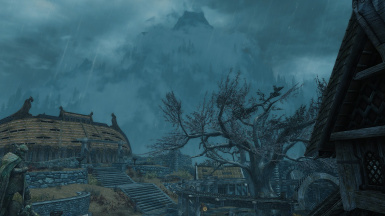 The way I forced it was in Mod Organizer, if you use it, sort the mods with LOOT and after that on the right window where it shows the ESP just move the true storms esp to a position under Obsidian esp and right click both esp and lock its load order. The bad is every time I add or remove mods and have to order again with LOOT, I unlock them, resort, move the esp after obsidian again and lock order. I really don't know if there is an easy way to do this, it seems LOOT does not allow if the mod has already any condition on LOOT masterlist order. Yeah, that's unfortunate. I know a lot of people have been having issues with LOOT recently and there doesn't seem to be any easy fix for it. 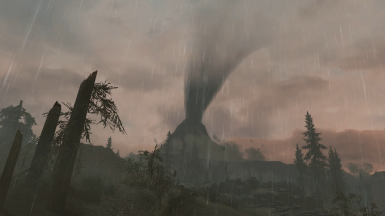 To be completely honest, if you're having issues with the load order you can feel free to leave it be, there's only a few minor things that you will miss out on if you load Obsidian after True Storms. Hello. Thank you for this useful merge mod pack. It really makes everything easy. 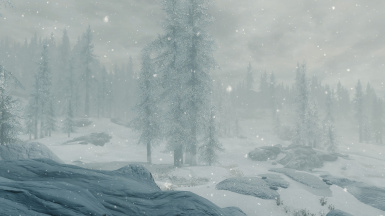 Oh, Sounds of Skyrim is now version 1.71 and I don't know if it changed a lot that need any revision in this patch. Obsidian and TS still same version. 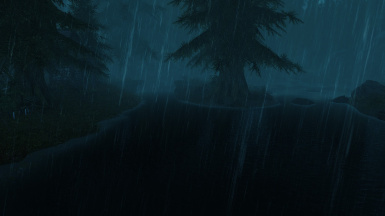 So, I just checked the original Obsidian Weathers and Seasons mod page and there is already a patch for True Storms. What's the difference between this patch and the "original" patch? 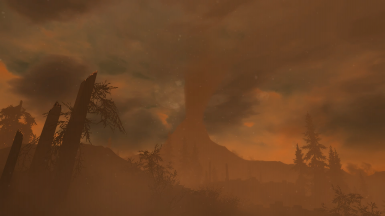 I did go into a bit more detail on that in the description :) Basically this patch delves more into merging the aesthetics as well as the special effects of both mods, while the original patch provided by the Obsidian authors is just to integrate the audio from True Storms. You have mentioned a patch for AOS, is this included in the mod? There is no separate download. I somehow don't get these intense snow storms. Is this a load order issue? 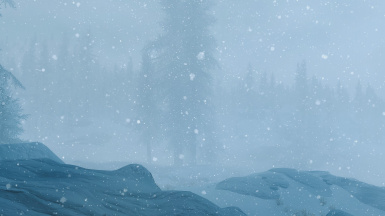 Snow storms look exactly the same with and without True Storms and your patch. Hello :) Yes, the AOS patch should be included in the FOMod installer, although I'm not too sure if it's been working properly with Vortex. As for the missing snow storms, I'm honestly not too sure, although if you are having issues with the installer then I'm guessing it's probably an installation issue. 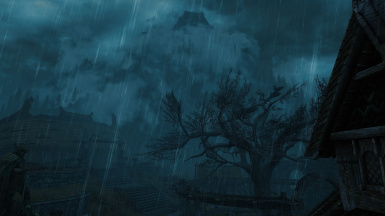 LOOT always loads Obsidian Weathers after True Storms for me. Is this OK? Hi any chance to make them esl? Hey I don't mean to be a bugger again but this mod just came out. 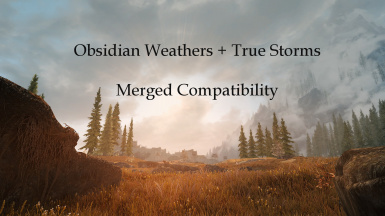 Would you mind if you have free time to make a compatibility patch for this mod NRL https://www.nexusmods.com/skyrimspecialedition/mods/23291?, the esp one. 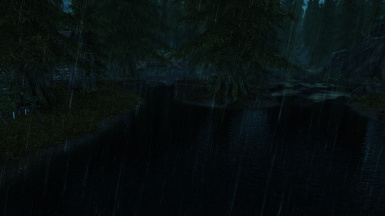 Yes, I definitely have plans to make patches for all three of L3s's weather mods. I have several projects in the works right now, but hopefully I will be able to find time for them soon :) Thanks for the suggestion! Is the darker nights comp patch only patch that is up to date even though it hasnt been updated in a while? 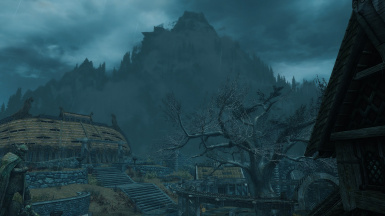 Version 43 found on record \  Obsidian_TS_Patch_Spectral.esp \  GRUP Top "WTHR" \  SkyrimFog [WTHR:000C821E]"
Just letting you know. I imagine the other versions of the patch all have older form versions too. I don't know if these actually cause any problems, but they're easily fixed by resaving it in the CK.